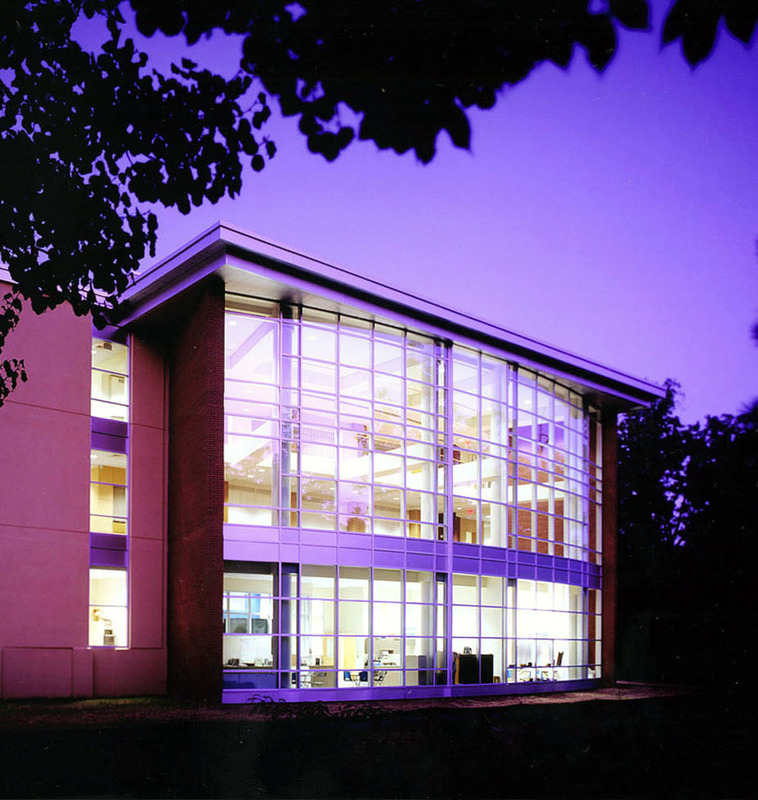 The Greenfield Hebrew Academy, a Private School with programs from Pre-Kindergarten though Eighth Grade, waited until their final construction phase to add the spiritual core of their program, a Synagogue. 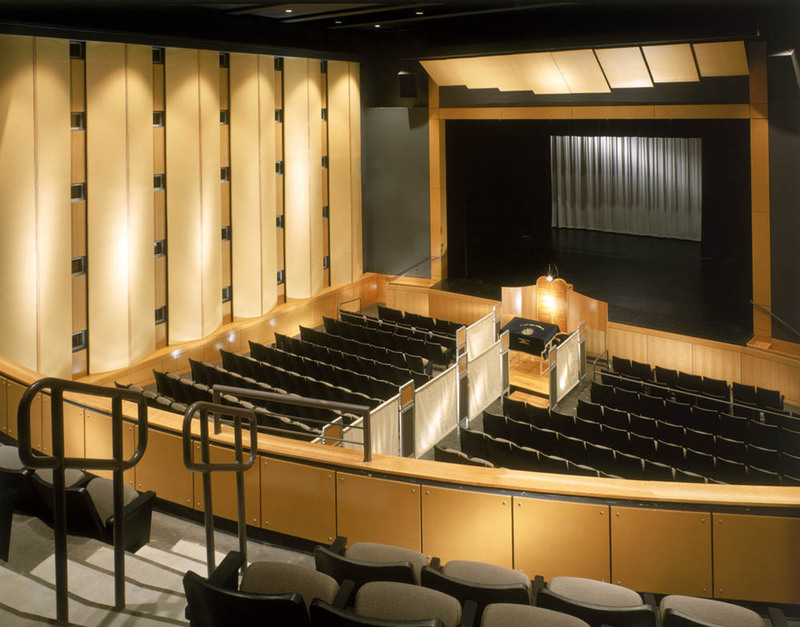 Due to budget and site restrictions, the Synagogue program was carefully weaved into the new 750 seat performing Arts Auditorium space. 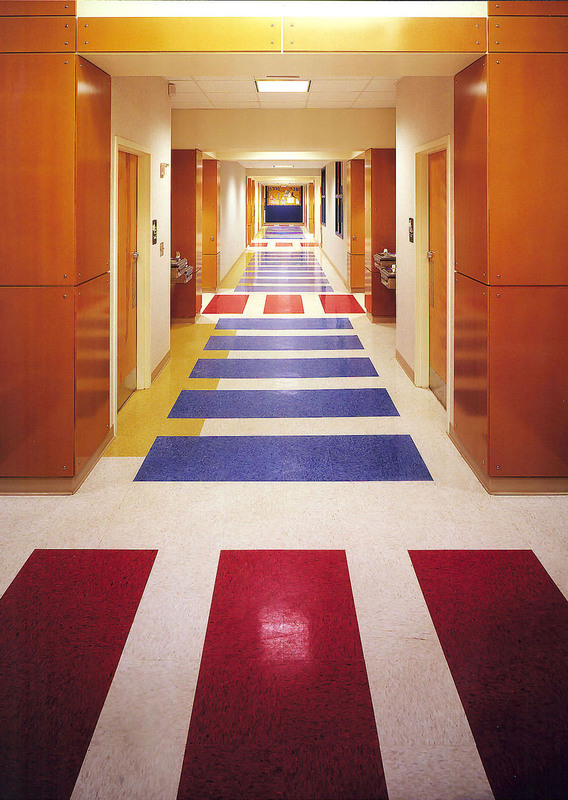 The building program also included a reconfigured entrance lobby with enhanced security measures, a renovated administration wing, and a new classroom wing that houses art, music, and special purpose classrooms. The green room serves as a multi-purpose space when not required for performances. 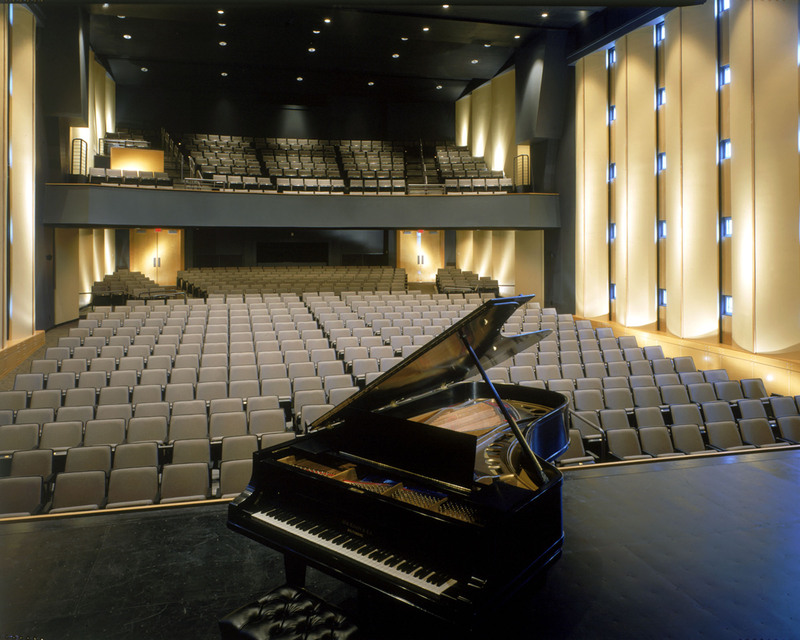 The auditorium is equipped with AudioVisual to serve a performing arts theater and as a Synagogue every morning. The Synagogue provides separate entrances for Boys and Girls and includes a portable Micheetza (Screen) in the Orthodox Tradition to separate the two sexes. 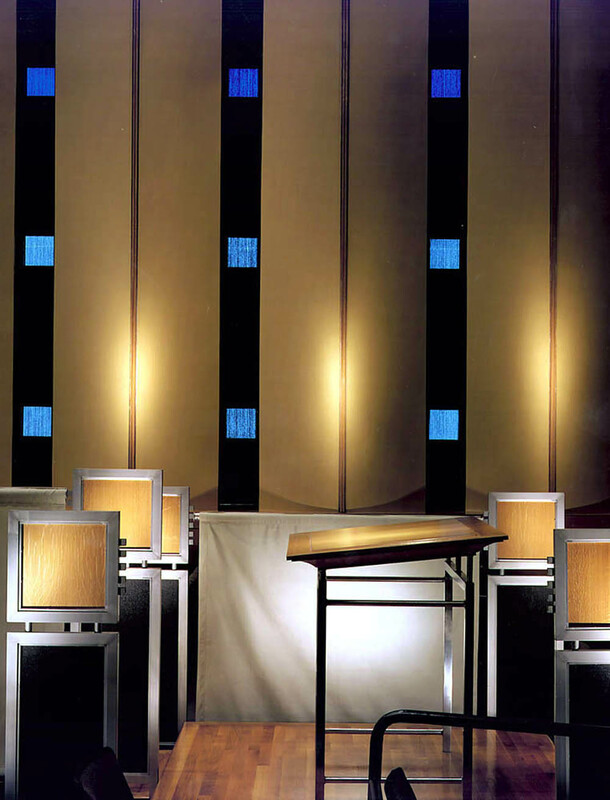 A portable Bimah (platform), Reading Table, Ark, and Nar Tamid (Eternal Light) complete the conversion of this space for worship. 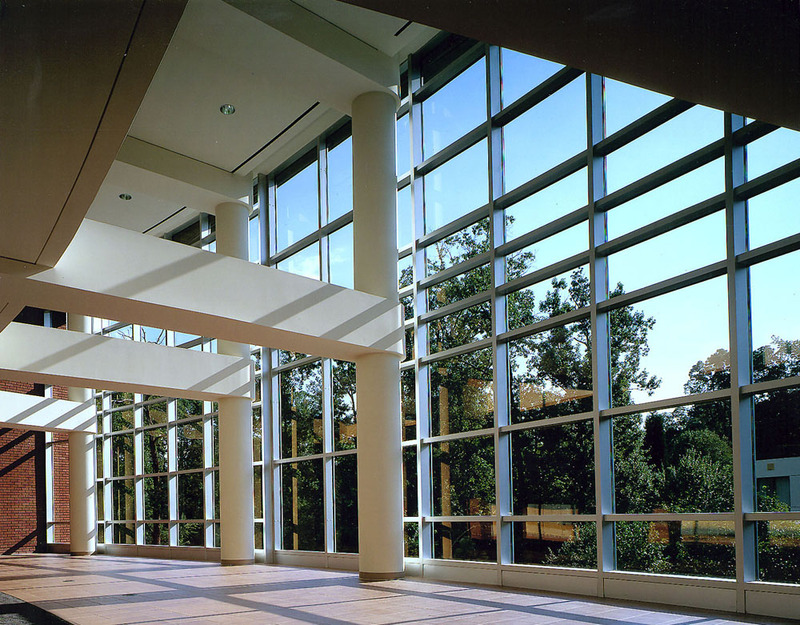 Facing East in the Hebrew Tradition, the Synagogue enjoys both North and South light with Window modulation, based on the 12 Tribes of Israel.